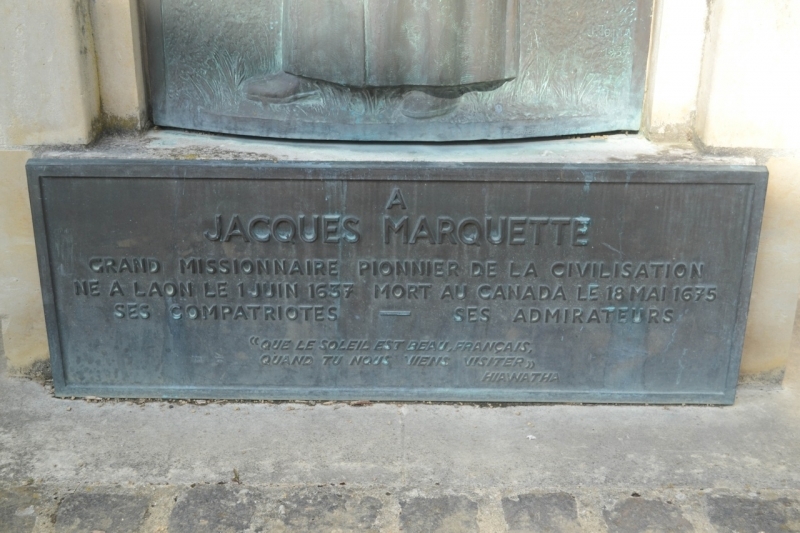 One of the more pleasant surprises in my life has been discovering that Jacques Marquette – Jesuit priest, 17th-c. French explorer, and namesake of Marquette University, where I got my master’s degree – was born in Laon, France, where I was born too. 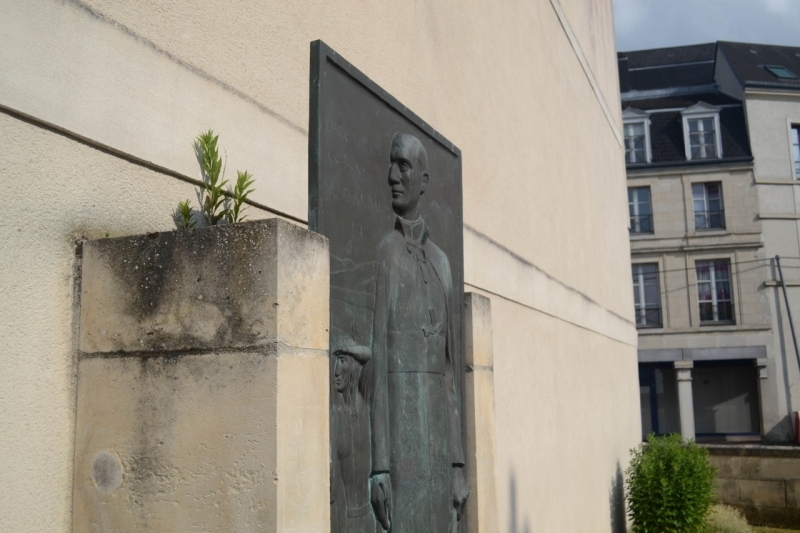 When my father and I visited Laon in June, some of his friends there knew all about Père Marquette. Dad’s friend Bernard was the one who pointed us in the direction of a plaque devoted to him, which turned out to be a park, which turned out to be right behind our hotel. 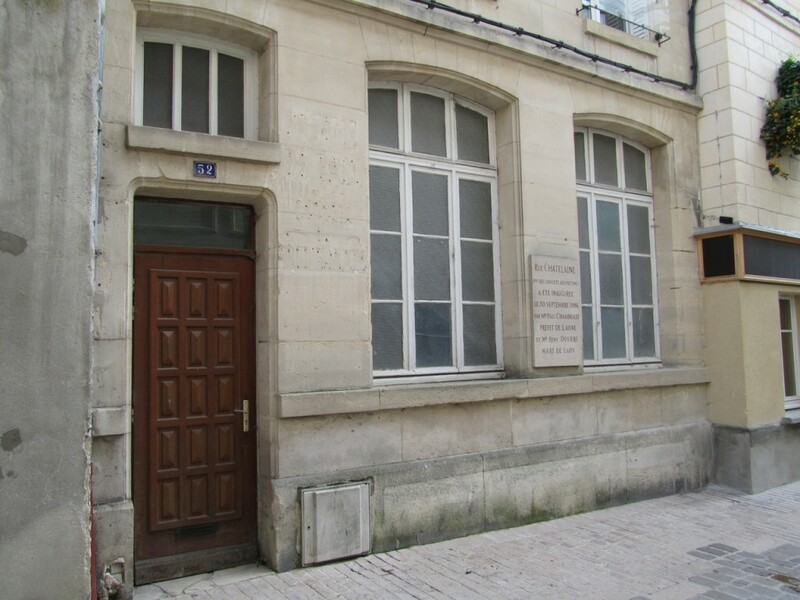 I told Bernard I was writing about this for OnMilwaukee.com here in the States, and he went into town and took pictures of the house where Marquette is believed to have been born: 52 Rue Châtelaine. The essay was published earlier this month in OnMilwaukee.com. 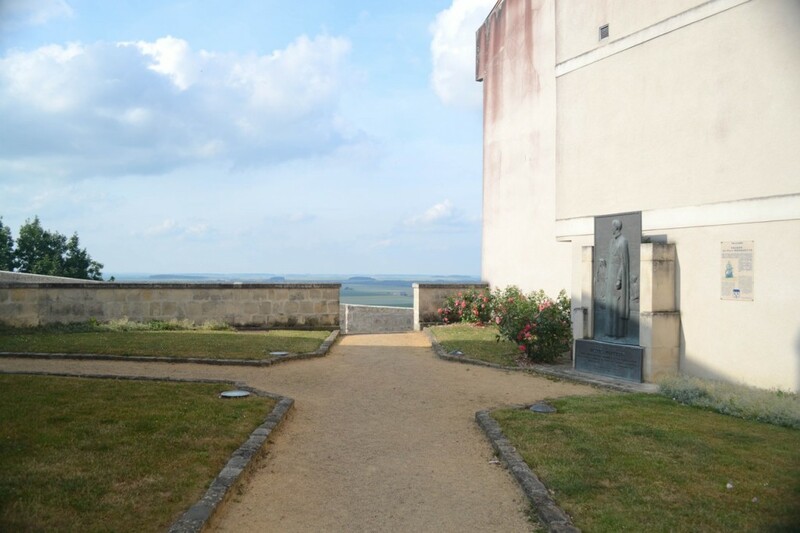 Thanks to them, and a hearty thank you to Bernard for going up the hill to snap the photo. 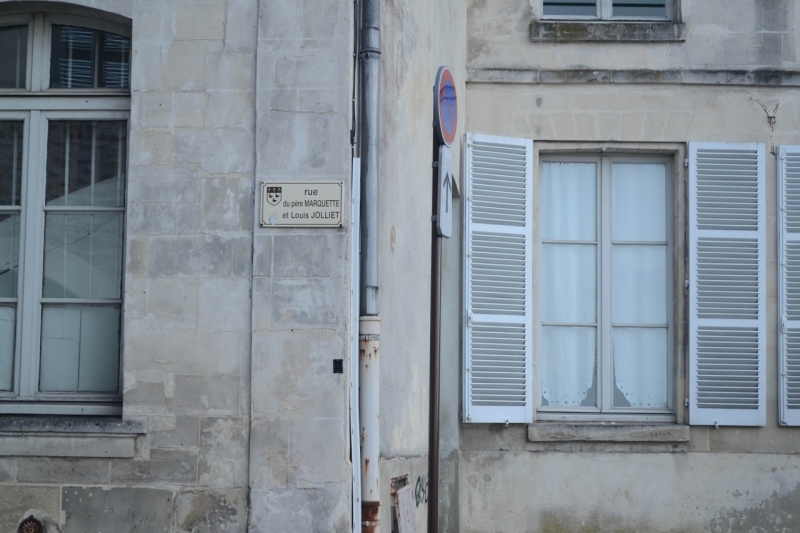 Parts of two streets in Laon are also named for Jacques Marquette. Get notifications delivered straight to your inbox. #TenThingsNotToSayToAWriter: 1. So 2. Have 3. You 4. Written 5. Anything 6. I 7. Would 8. Have 9. Heard 10. Of? © 2019 Robin Graham. All rights reserved.